Revitalise your outdoor living area with the chic, luxurious promise of style and comfort. 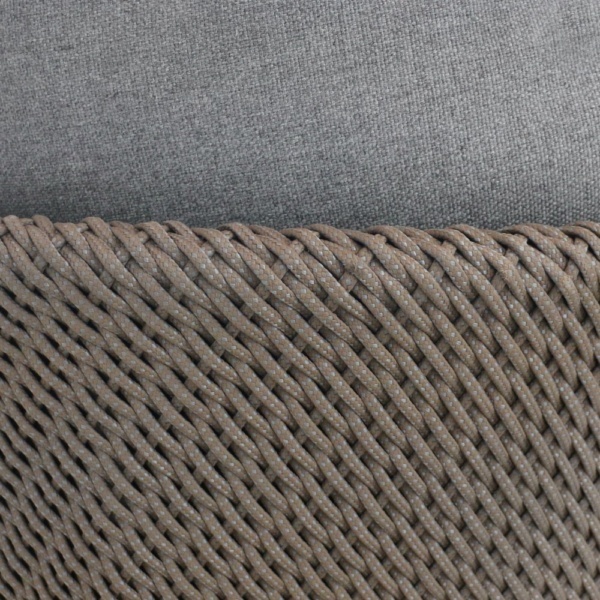 Fold into the welcoming and relaxing Studio Rope Outdoor Sofa with the Cyprus Weave. 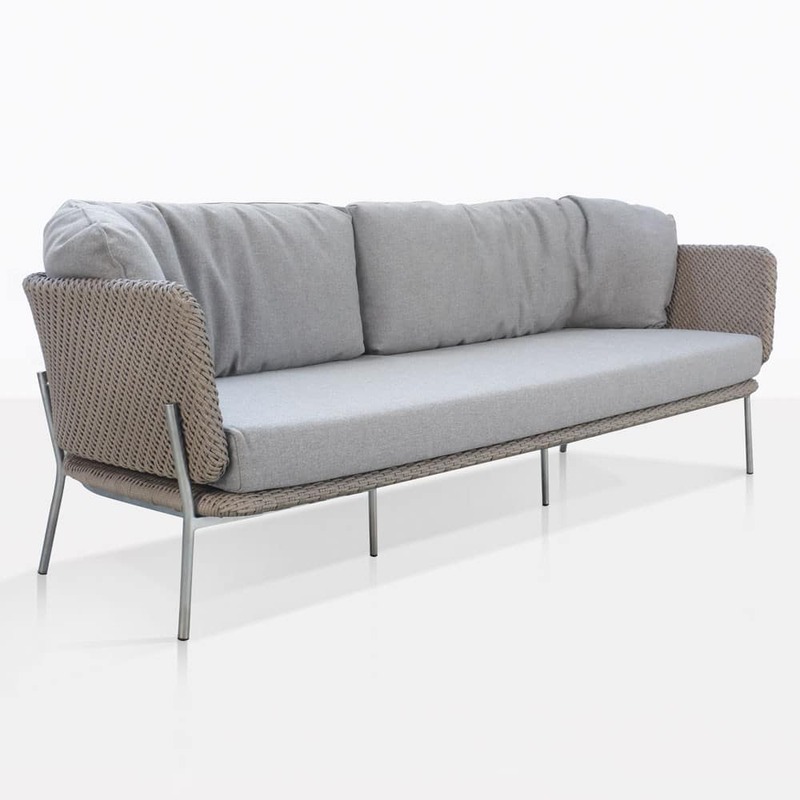 Modern opulence at its best, the Studio Rope Sofa showcases a stunning European flavour with contemporary material in one exceptional 3 seater sofa. The state of the art style of the Studio Rope Outdoor Collection is a firm nod to the simplicity of Scandi-French fashion furniture, while the assured shape and neutral colour scheme makes for incredible urban comfort. 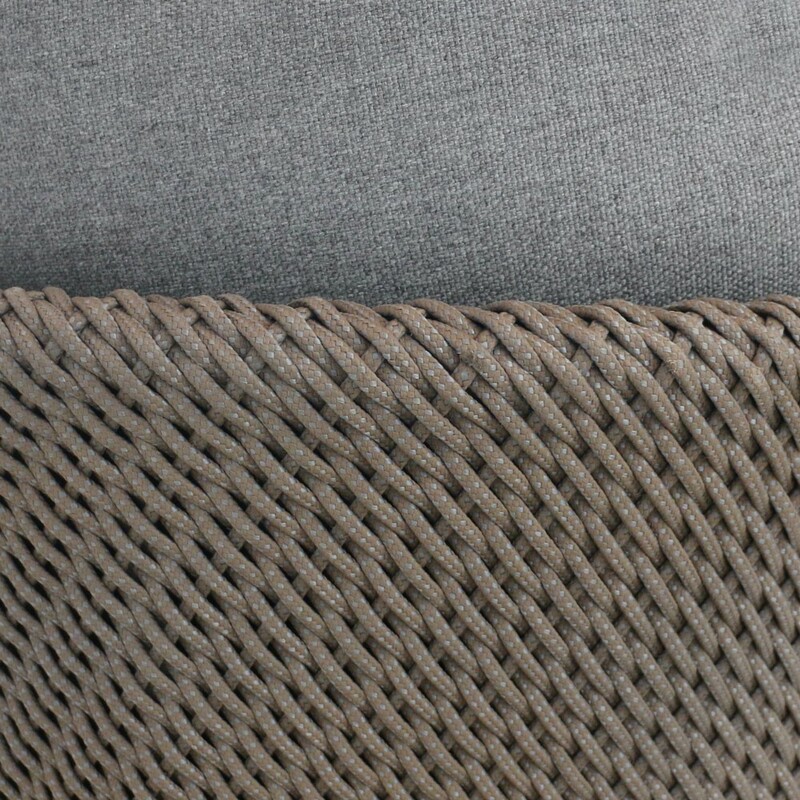 Boasting a sleek framework, low profile, with subtle aluminium legs, a carefully curved woven rope back and base, and layered with soft Sunbrella® cushions, the Studio Rope Collection in taupe will sit pride of place in a studio setting, or in a lush garden! With four excellent pieces to incorporate into your space, the Studio Collection also features a Relaxing Chair, Dining and Side Chair – all of which can be bought separately, so you can curate the best look for you! This excellent Studio Rope Sofa is a lesson in refinement, beauty, precision and quality. 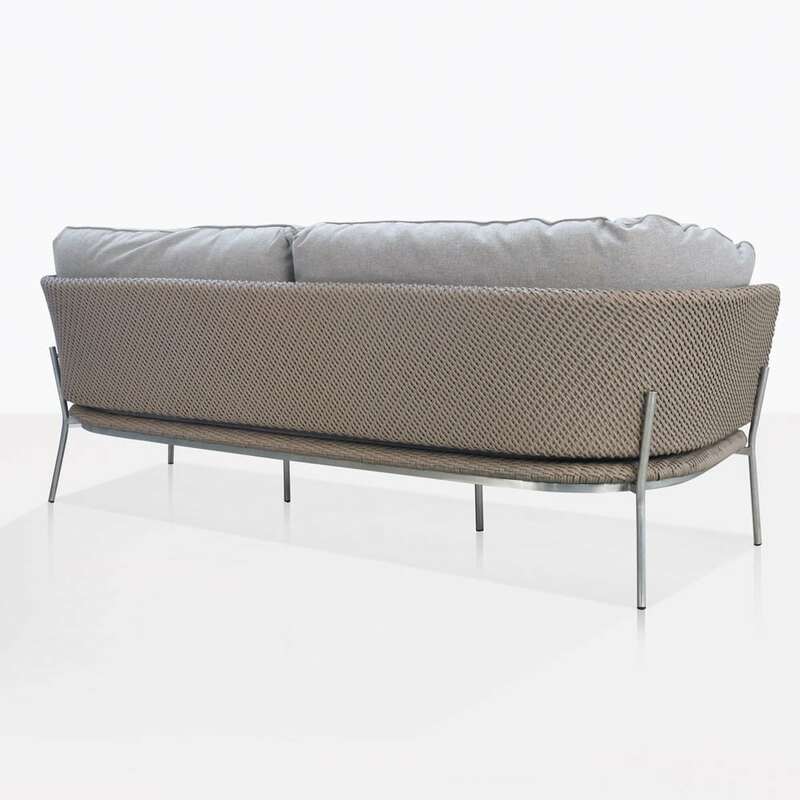 Place your fabulous Studio Cyprus Rope Sofa in the midst of your courtyard with a Relaxing Chair on either side. A solid coffee table in amongst and you can get ready to settle in for relaxation in a luxurious and welcome setting. 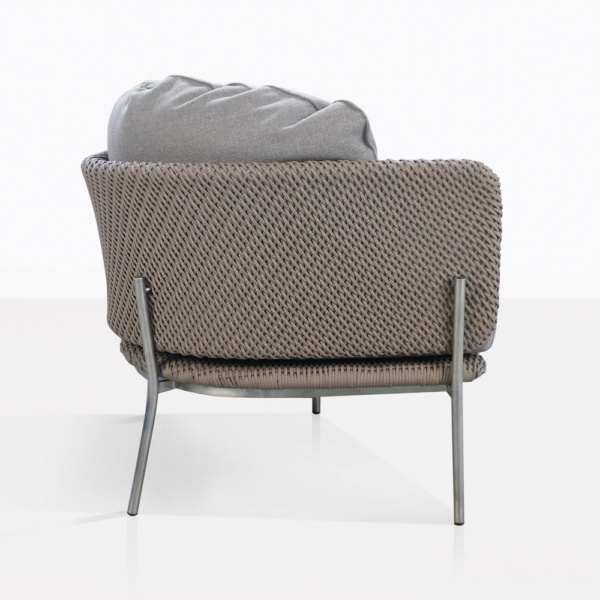 Made from quality materials, all through dyed, UV treated and protected against the elements, the Studio Collection is a must for making your outdoor area one of security, stability and style. 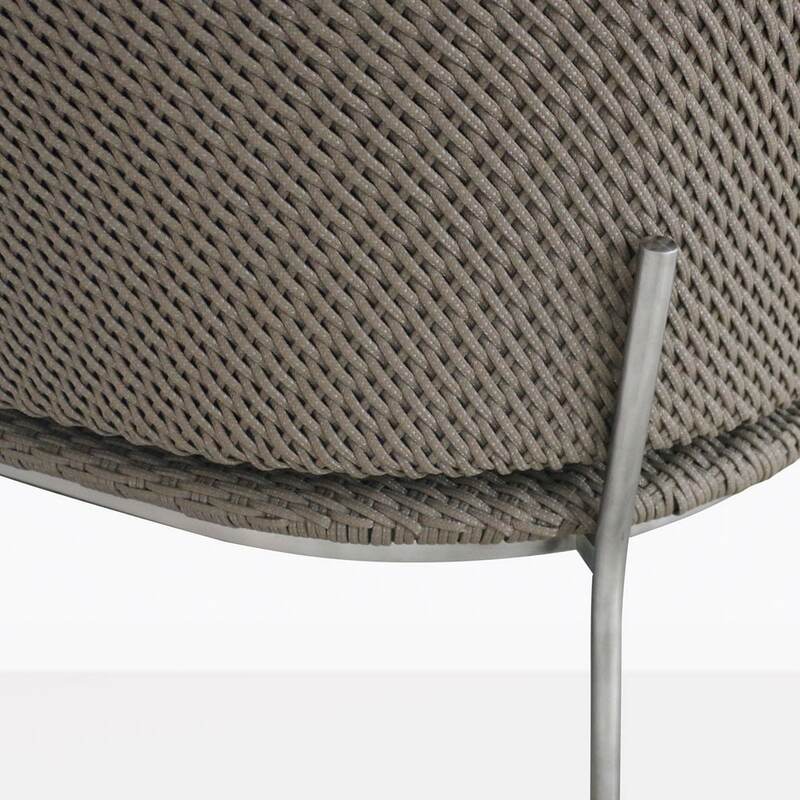 At Design Warehouse, we are masters of luxurious and quality outdoor furniture. We are proud to carry an extensive range of items to suit every customer who walks through our doors and visits our website. Call Design Warehouse now to begin transforming your space into one of supreme calm and opulence.